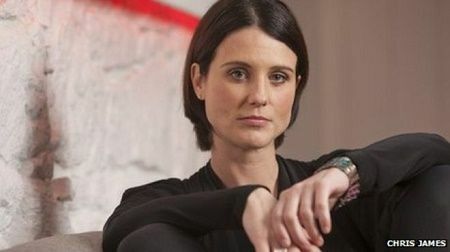 Heather Peace is an English musician, actress, and most importantly LGBT rights activist. She married her longtime girlfriend Elie Dickinson in 2013 and shares one child together. The two lovebirds grabbed headlines all over the media as a first lesbian couple to marry legally in London. So, let us take a moment to discuss the powerhouse duo. Peace and her partner Dickinson entered into a civil partnership which is similar to marriage in 2013 and stayed together for 17 months. And they subsequently converted their relationship into marriage in 2014 when it became legal in the United Kingdom. 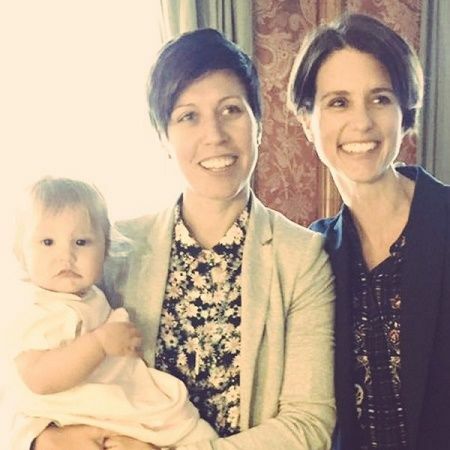 Heather Peace tied a knot with Ellie. Well, the couple seems very happy together and even after so many complications and controversies they are finally together as lawfully wedded partners. Being a strong supporter of LGBT equality causes, Heather has recorded a video song for Stonewall's as a title "It Gets Better" campaign. Here you can see the view of Peace on Gay Right for Stonewall. There are other actresses who support for Gay Right Campaign they are; Cherry Jones, Kristy McNichol and Jodie Foster. Singer Heather and wife welcomed their first child; a daughter named Annie in 2015. The out Waterloo road and Lip Service star, who broke the news that they were expecting a child at a concert in Brighton in March 2015.
" Ellie is pregnant with our daughter and she arrives in three weeks." Heather Peace and her wife Ellie at the first birthday of baby Annie. "Thank you so much for all of your wonderful messages to myself and Ellie on the imminent arrival of our child. We are so lucky." The couple shared the news through their official Twitter account. Ellie gave birth to our daughter today at 1.46pm. Peace was born on 16 June 1975, in Bradford, West Yorkshire, England and grew up with parents. She has been playing piano from the age of six, and guitar since her teenage. She first told her mother about being a lesbian when was 19. Peace decided to be an actress at an early age. She always gives credit to her parents for the encouragement they gave her to achieve the zenith. She completed her BA (Hons). from Manchester Metropolitan University on acting. Her first debut television show was Emmerdale as Anne Cullen in the year 1996 up to 1997.